New York, June 13, 2013 – Fashion One LLC, the international channel for fashion, entertainment and lifestyle television, and Volia, the leading Ukrainian national provider of cable television and high speed Internet services to over 1.5 million subscribers in 29 cities of Ukraine, announce the strengthening of the relationship with a multi-year carriage deal today. The channel is now available on all packages beginning from Start package. 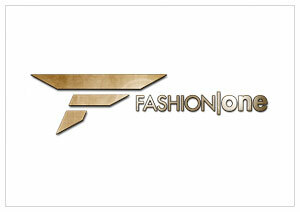 Fashion One LLC is available both in SD and HD quality to the audiences in Ukraine. Subscribers of the VOLIA Smart HD (OTT platform) can also watch the channel. The international television network caters to the country's smart and feminine female audiences with content covering the very latest in fashion, entertainment, and lifestyle news, profiles of A-list celebrities, luxury brands, holiday destinations, and red carpet events. Fashion One LLC also delivers a strong lineup of original programming from reality shows, documentaries, beauty tips and street styling. Fashion One LLC's CEO, Ashley Jordan, said: "In addition to bringing the latest fashion, entertainment, and lifestyle programmes from around the world to our audience in Ukraine, Fashion One LLC will also increase the investment in local productions and, at the same time, provide regular worldwide exposure to the local designers and labels through our worldwide network. We are planning to set up our dedicated Ukrainian feed in the near future, and looking forward to a long term partnership with Volia." Volia's Program director, Sergey Osadchiy, said: "We are committed to provide the most attractive channels to meet all family needs. We are happy that our fruitful cooperation with Fashion One LLC enables us to provide this high-quality channel to our largest DTV audiences and include it into our new OTT-based VOLIA Smart HD service. I believe that after adding such options as catch up TV, time-shifting and multiscreen, our subscribers will enjoy it even more watching the latest updates from the fashion and entertainment industry in the interactive way - in both SD and HD quality." The channel will bring Front Row (Spring/Summer 2013) and international fashion weeks from London, Paris and Milan for Spring/Summer 2014 men collections to the channel in June. Front Row is a fashion commentary that critiques the season's best designer catwalks and gives viewers insight into how to stay fashionable with looks straight from the runway. Viewers will also enjoy an on-going documentary series Eco Fashion and fashion news series Fashion Frontline.